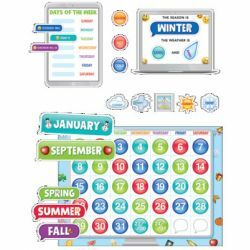 The Emoji Fun Calendar Set Bulletin Board brings the sweet, silly, smiley emoji faces and icons to your calendar bulletin board. 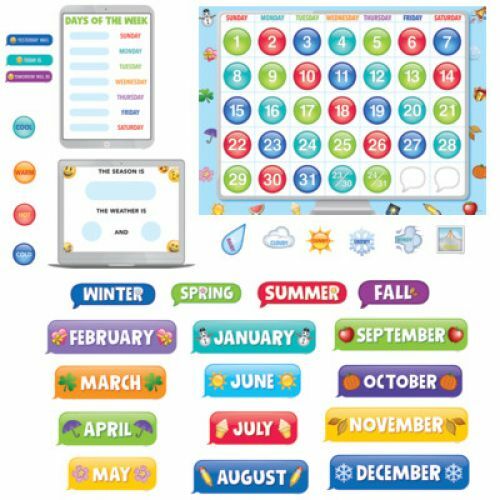 Students will love the emoji faces and icons on the calendar all year long! 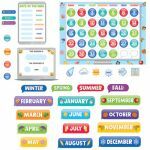 This calendar set includes a calendar chart, 12 month headlines, 31 pre-numbered calendar days, and 4 blank calendar days. 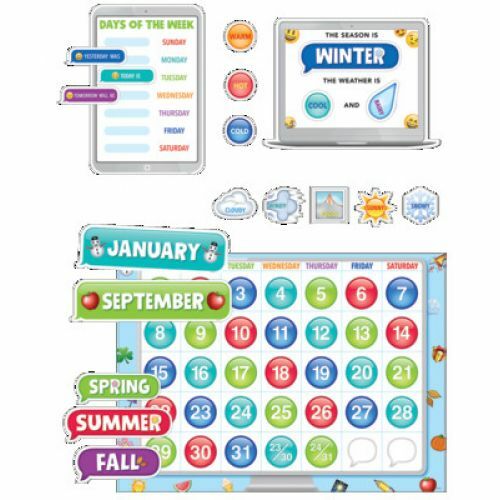 The set also includes a days-of-the-week chart, a seasons and weather chart, and coordinating labels. The emoji faces make this set perfect for non-readers, non-English speaking students (ESL/ELL), and children and adults of all ages. Social media lovers will LOVE the Emoji Fun Collection! Sweet and silly emoji faces will bring a bit of digitally inspired fun to any classroom, church, daycare, or other school setting!